Sheppard, Robert and Patricia Chisholm. "Black Puts Up Newspapers for Sale". 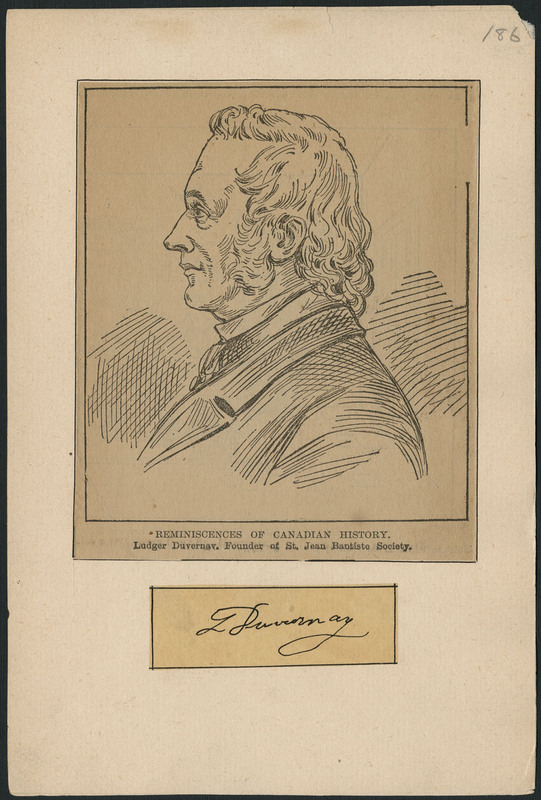 The Canadian Encyclopedia, 16 December 2013, Historica Canada. https://www.thecanadianencyclopedia.ca/en/article/black-puts-up-newspapers-for-sale. Accessed 19 April 2019. No one expected Napoleon to retreat from the steppes of Russia, or Conrad Black to dispossess himself of the newspapers he has spent most of a lifetime acquiring. But there he was last week - Black, not Napoleon, to whom he is sometimes compared - suddenly offering to shed as much as half his huge publishing empire in order to expand more deeply into the Internet. What astounded observers was not so much the number of newspapers on the block - as many as 55 small dailies, 65 weeklies and 200 specialty publications in Canada and the United States. Rather, it was the casual, un-Black-like way in which the globe-spanning Hollinger empire was being disbanded. Almost like a garage sale. Will he sell the jewels in his crown? London's Daily Telegraph, the best-selling broadsheet in Britain, the Jerusalem Post or the feisty Chicago Sun-Times? What about the upstart National Post, his pride and joy in Canada? Probably not, said Black in a telephone interview with analysts at the end of the week. But investors are invited to kick the tires in any event, particularly if they are interested in some sort of "strategic electronic alliance" or Internet partnership. Big-name players like Rogers Communications Inc. or BCE Inc., which recently bought CTV, have been bruited about as possible Web partners. But neither seem particularly interested. And the approach itself has baffled observers. "Is this a business plan or a cry for help?" asks Christopher Dornan, the director of the school of journalism at Carleton University. "If you want to boost your stock price, you don't signal that 'oh-oh, we're floundering. Could some telco come and mainline some money into us, please?' You want to do the dot-com deal behind the scenes and then announce it with public fanfare, so the market applauds." What exactly is for sale? "We truly don't know," says an affable Peter Atkinson, a Hollinger vice-president charged with selling the papers. The plan at the moment is to unload as many of the smaller community-based papers as possible - papers such as the Victoria Times-Colonist, the Kingston Whig-Standard, the Charlottetown Guardian (there are 51 Canadian dailies on the block). Hollinger would like to keep the large metropolitan papers in Vancouver, Calgary, Edmonton, Ottawa and Montreal, and the National Post - and position them better for Internet partners. Britain's Daily Telegraph is "definitely a keeper," says Atkinson, and "we'd be very reluctant to sell the metropolitan papers or the National Post. But we will certainly look at any serious offer. We think it is time to transform the company somewhat." Realistically, Hollinger expects to sell about half the community papers up for grabs and has set a three-month timetable for offers. That could net the company about a billion dollars, enough to make a serious down payment on its $2.4-billion long-term debt and improve the share value. Hollinger International Inc. stock rose on news of the sale, settling at $12.63 (U.S.) by week's end - still down from $15.64 a year ago. Black has long argued that his company is undervalued. Every paper but the start-up National Post makes money. It lost $44 million last year, but the proprietor promises to have it in the black by December. An ink-stained mogul of the first resort, Conrad Black is a firm believer in the power of print. But attempting to rejig Hollinger's electronic prospects also means transforming Canada's newspaper landscape. Beginning with the 1966 purchase of a decrepit Quebec weekly, the Knowlton Advertiser (circulation about 300), Black, partner Peter White and later David Radler have built - through leveraged takeovers, tough-minded business practices and intellectual feistiness - a newspaper empire like no other. Hollinger's 58 Canadian dailies reach more than 40 per cent of the country's newspaper readers. The company is a dominant player in British Columbia, Alberta, Saskatchewan, central Ontario and parts of the Maritimes. And it is transforming itself in step with other big chains - Thomson Corp. announced in February it would sell all its newspapers save The Globe and Mail; Quebecor Inc., which owns the Sun chain, and Torstar Corp., which owns the mammoth Toronto Star among others, are also investing heavily in the Internet. That leaves the newspaper world open to a host of new entrepreneurs. Already, flamboyant author Farley Mowat is trying to put together a community group to buy his local paper, the Port Hope Evening Guide, from Hollinger. The Irving family in the Maritimes are said to be interested in papers in their backyard. Quebecor will kick tires in the West. Torstar is expected to cherry-pick some of the more high-profile Ontario dailies. Atkinson and others suggest pension funds might be lured into becoming minority shareholders because of the steady revenue flows (Hollinger's Canadian holdings, excluding the Post, boasted 24 per cent raw earnings on revenues last year). And there are a spate of small weekly publishers in British Columbia and Ontario who might want to step up into another league. "This is all back to the future," says Carleton's Dornan. "That's how Hollinger got started. They'd buy a weekly and turn it into a daily by hiring one extra person." What the future might bring for Hollinger is another story. If this is strictly a stock play, it comes at a time when the market is all over the place trying to determine the relative values of the old and new economies. And Hollinger's Internet strategy does not seem nearly as well-thought-out as some of its rivals'. Thomson, for instance, has a clear plan to sell high-quality database information to doctors, lawyers and other top payers. Hollinger, so far, has made only a series of minority investments in third-party companies like U.S.-based Bidhit.com, a little-known electronic auction house. Hollinger has developed a high-quality news Web site, Canada.com, and seems to want to marry this with a stronger host or hosts. But in Internet terms, news Web sites are a click a dozen. Worst-case scenario: the community papers don't fetch the price Hollinger wants and the Internet plan is slowed - the stock price goes back to where it was before, says analyst Bill Wolfenden of Dundee Securities Corp., "so this is not a high-risk strategy." Hollinger's Atkinson says if the price isn't right, the papers will be welcomed back into the fold. Hollinger loves newspapers, he says. "We just seem to have accumulated more than we ever dreamt we'd have."